You may have seen follow me button on some site by clicking on which a box will slide up containing details. 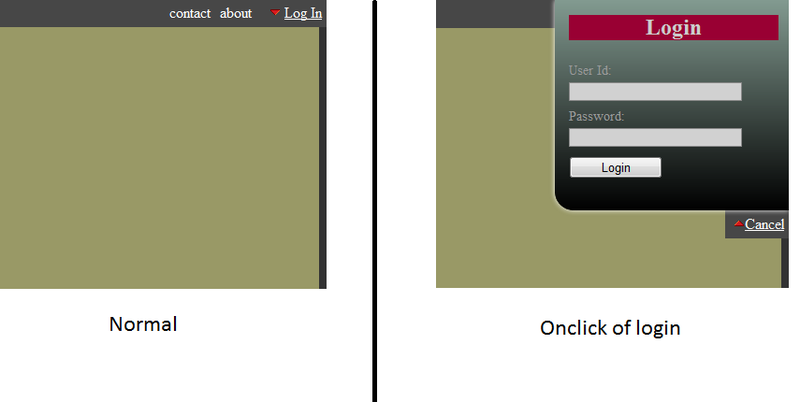 This article describes how to create such a drop down/up box using JQuery and CSS. Here I have used JQuery 1.6.2-min.js. You can play with CSS and Jquery to make it suite your site. Step 1 create a text area for entering text and an input text box which will hold remaining character count. And its done. Hope this helps you.